Photographer taking photos of rose hip bush with digital camera. Taking photo of briar red fruits with drops of water. 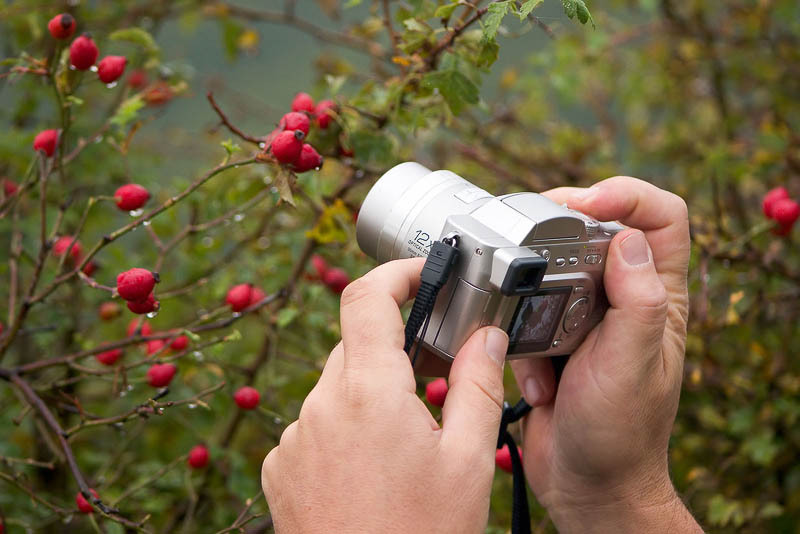 Taking photo of wild brier fruits with dew drops. Taking photos in nature.